Carey Moving & Storage offers portable storage solutions for both short-term and long-term storage needs. Portable storage containers can be stored at your site or ours, making storage easy. 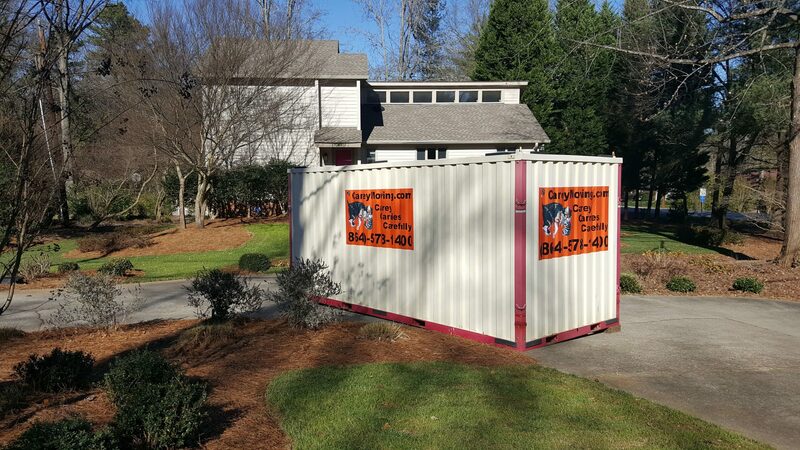 Currently, we offer mobile storage containers to serve the Greenville, SC; Spartanburg, SC; Gaffney, SC; Rock Hill, SC; and Charlotte, NC areas. We offer four sizes of mobile storage containers to meet all levels of storage needs. Our portable storage containers are made of secure, weather-proof steel, and are suitable for indoor or outdoor use. Featuring moisture-resistant bamboo floors and up to 160 points for secure strap attachment to prevent shifting while moving, Carey’s portable storage containers keep your belongings safe and secure. For more information about our mobile storage containers, contact Carey Moving & Storage today!